Love this story!!! Bite, Bite, Bite!!!! I stumbled across this quite by accident. This book will make you laugh out loud several times!! The narrator was perfect for the role! Please take time to listen, you won’t be disappointed. Peaty is so funny!!! Bite,Bite,Bite!!! First of all let me say that this story is fun and an enjoyable read. 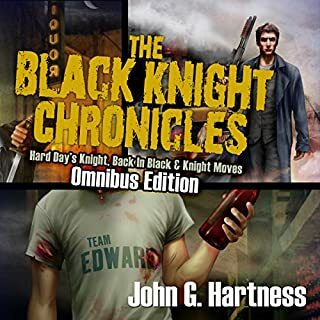 John Hartness spins a fun tale but these three end pretty quickly. I was a little put off by his use of "clips" instead of mags, and when the main character "pulled the hammer back" on his Glock I had to shake my head. I know it's all for fun, but ask a gun guy to edit those parts if you can't get them right. 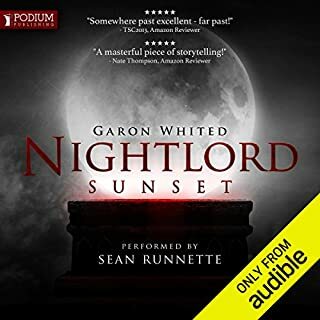 Nick Russo is an ok narrator, but that's about it. He is a little flat but I got use to him. I will keep reading this series, and I would recommend it to others. I was pleasantly surprised when I stumbled across this story. The action is not &quot;break neck&quot; paced, but there is plenty to keep you engrossed. 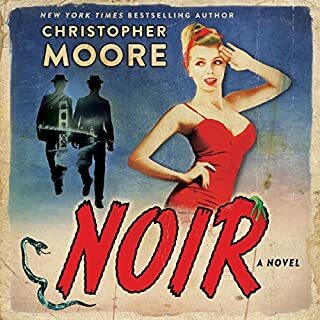 I really liked the twist on the old vampire stories, that you can be both alive and dead. I'll keep on listening to the other two books to be sure. Cannot wait for the next one!!! 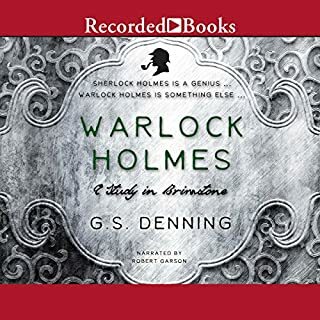 Would you listen to Warlock Holmes again? Why? I didn't know what to expect, however, I was pleasantly surprised!! Fun listen and really hooks the listener. I very much enjoyed the story. Holmes by far, because he is so daffy!! Have you listened to any of Robert Garson’s other performances before? How does this one compare? Loved it. Will purchase the next one!! What made the experience of listening to Beyond Exile the most enjoyable? 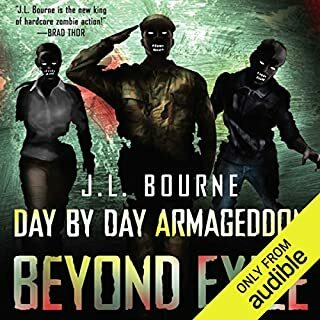 I really enjoyed the first book in this series, Day By Day Armageddon, and couldn't wait for this one to come out. J.L. Bourne did a good job, but kind of left us hanging at the end. The character (oddly never named in the book) was well done, and I found myself rooting for him to make it through his survival. There a few techical details that are just annoying, but that's only me being a guy who enjoys when someone talks weapons, and they get it right. Example, at one point they use Reaper drones with laser guided bombs. Why not use what they actually have? Hellfire missiles. And the MP-5's are "innacurate".....I have been an MP-5 operator for years, and at the distances he speaks of, they are a surgical tool.....Anyway, minor details. I want the next book now! They don't really give you characters other than the main one, again who is un-named. So I guess it's the Lieutenant. Jay did a great job with all of them. I really enjoyed his work.